Miami Dolphins coach Joe Philbin is a milquetoast man if ever there was one. But even he could not help but get caught up in the excitement following the Dolphins' 24-20 win against the Indianapolis Colts. 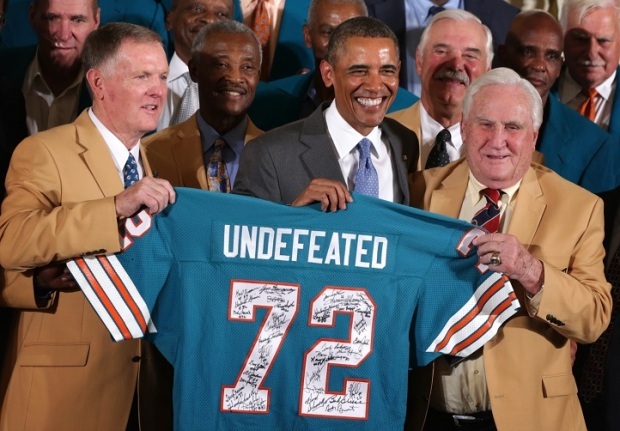 "We got a hell of a team in the making," Philbin said in the Dolphins' locker room after the game. That was decidedly the most enthusiastic statement he has ever uttered in his tenure in Miami. For just the second time in a decade, the Dolphins are 2-0 after Week 2. They feasted on the Cleveland Browns, possibly one of the worst teams in the NFL, in Week 1, but Sunday's win was different. On the road, against a 2012 playoff team that beat Miami last season, the Dolphins overcame a 3-point deficit in the third quarter and stopped the Colts twice deep in their own territory to preserve a lead. It was the kind of game that Miami lost all too often in 2012 (the Dolphins went 3-5 in games decided by 7 or fewer points last season). That is not the only measure in which this year's Dolphins have improved. Miami's defensive backs already have 4 interceptions in 2013. Last season, that unit combined for 3 - just 3, all year. Opposing quarterbacks are completing 53 percent of their passes for 5.3 net yards per attempt, compared to 59% and 6.2 last season. Opponents are converting on third down just 28 percent of the time, down from 37 percent last season. On offense, the Dolphins are extending drives, converting on 47 percent of third down attempts (compared to 38 percent last season). QB Ryan Tannehill has seen his completion percentage jump from 58 percent to 65 percent. 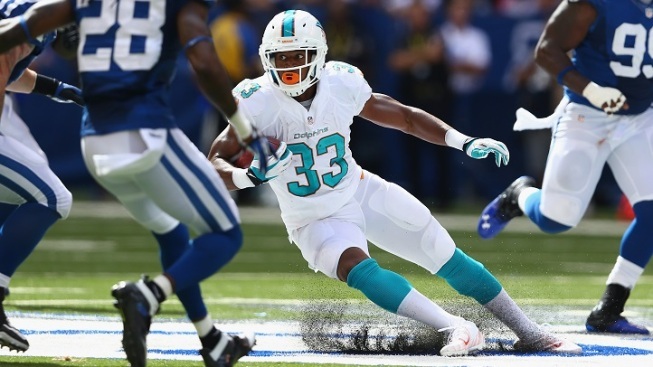 Dolphins' Wallace: "I Will Have Opportunities"
There are still plenty of areas for improvement. The running game was better on Sunday than in Week 1 (when Miami averaged under a yard per carry), but still could be better. The offensive line has given up 9 sacks in 2 games, not a good stat if you care about Tannehill's health. And while the offense looked unstoppable on its first two drives against the Colts (resulting in two touchdowns), it tapered off quickly once the Colts could adjust. But for the first time since 2010, Miami is 2-0. Since the NFL expanded the playoff field to 6 teams per league, teams that start 2-0 have made the playoffs 61 percent of the time. 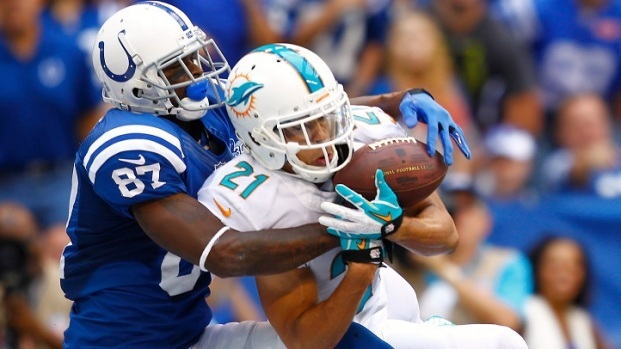 "It's only two games," cornerback Brent Grimes said Monday. "But we played well and got two road wins to start the season, which is a big deal, and we showed a lot of promise of things we can do if we keep our heads on straight." The Dolphins have a rough stretch before their bye in Week 6, facing Atlanta, New Orleans, and Baltimore in the next three weeks. If they can emerge from that stretch at 4-1, the energy on the Dolphins bandwagon could reach a fever pitch.